The field of SEO has become a major business over the last 10 years, and the last 5 have really taken off for SEO companies and consultants as the Internet has become ubiquitous in daily life along with the continual advancements of the search engines. Currently no SEO certification in conjunction with Google, Bing, Yahoo or the other search engines exist. A few SEO companies and websites offer their own brand of SEO certification, but none of these are sanctioned by Google et al. The current outlook on these in the SEO community is that the courses may be beneficial as learning tools but the SEO certification doesn’t offer any advantages in the industry. The prevailing view among SEO consultants is that one can learn about SEO by researching material on the web and SEO online sites along with possible courses and strong backgrounds in IT related sectors such as web programming. One of the best known organizations is SEMPO, which offers membership and learning courses. While no search engine sanctioned SEO certification exists, Google does offer AdWords certification for individuals and companies. This can be a valuable addition to an SEA (search engine advertising) department. As mentioned, most SEO consultants and agencies view experience in the field as the best source of knowledge. The good news is that this doesn’t only mean “client” experience, rather one can learn about SEO by reading up on the blogs and by using SEO tools. Invaluable tools include Google Webmaster Tools, Google Analytics and the Google Keyword Planner. There are numerous other tools available as well. 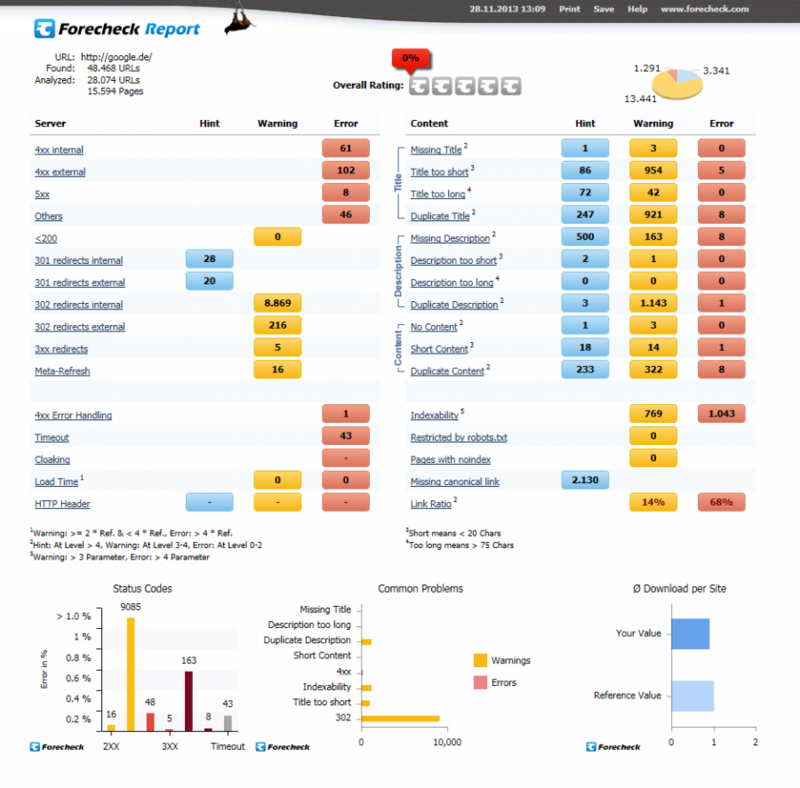 One of the best SEO tools is Forecheck, an extremely powerful website crawler and analyzer that generates information on practically all of the various elements a search engine “sees” when crawling a site. With Forecheck, you can work on sites of any size as often as you like and get returned information on server status codes, meta elements, content and much more, along with warnings, errors and individualized reporting.